The Indian mainstream media cries foul every time common citizens question their credibility. But the MSM has to blame only itself for all this loss of reputation as they partial/half baked reporting is the sole reason behind distrust among the masses. The latest addition in this list is the Dadri incident, where MSM converted a common theft issue into intolerance debate. The whole idea was to malign the reputation of BJP led central government although it had no role whatsoever in the whole issue. 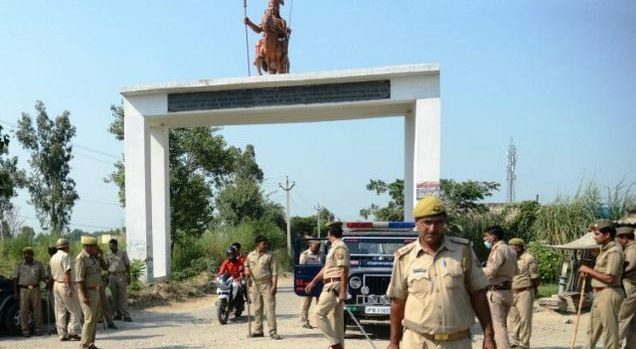 A report prepared by a forensic laboratory has confirmed that the meat found in Dadri lynching victim Mohammad Ikhlaq’s house was from a “cow or its progeny”, documents accessed by Hindustan Times showed on Tuesday. The Dadri incidents very well highlights everything that is wrong with MSM. While they will go over the top over one single incident to highlight atrocity against Muslims, they will completely ignore large scale riots like in Malda or recently in West Medinipur. This atrocity news is well supported by the leftist intelligentsia which tried hard to fuel the intolerance debate by indulging in Award-wapsi. Did it occur to them once to do Award-Wapsi for large scale violence in Malda or during West Bengal polls? A sane media could have very well avoided to create mass hysteria around the Dadri incident and create animosity between the two communities. But MSM tries very hard to sell victimhood narrative to Muslims in the country, even in cases where they are definitely wrong. Rather than cornering Akhilesh government on their record on Law & Order situation in UP, the media jumped on the bandwagon to bash Modi government for a random incident like Dadri. Now the media will try to spin the argument and make it a debate on beef ban. But beef ban is nothing new and has been enforced for past many decades when BJP was not even in power. So killing of cows is a big no in this country for a very long time now and there is no reason to attribute random killings to this ban. It is sad that a person had to lose his life for theft but it throws light on the sad law & order conditions in UP where people do not trust the state to even solve trivial issues. More importantly, the MSM needs to look into its own functioning and stop crying about loss of credibility. Given the false and sensational journalistic practices, it is no surprise that common folks have developed deep distrust for their reports. So the only question is- will the left dominated media accept its mistake and stop giving needless spin to one other incident, specially when the truth is out in the open?